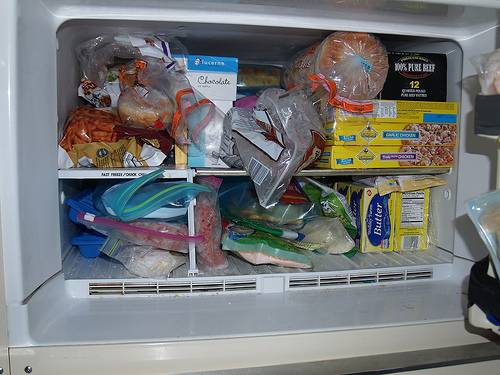 Effective freezer management should be one of the key resolutions for year 2014. Experts have often stated that many foods are capable of freezing very well. Some of the foods that can be frozen include, eggs in shells, green vegetables and many more. Having key knowledge of what should and should not be done will help in maximizing the freezer’s capacity. Some of the things to keep in mind when freezing food will be presented in this article. One of the key things to keep in mind is that lean foods often last longer compared to non-lean ones. For instance, in the case of fish and meats, the lean cuts will last longer when compared to the cuts containing fat. Well-wrapped lean meat has the capacity to last for even a year. Ground meat has a shorter storage time, which is approximately six months. While lean fish lasts for approximately six months, fattier fish cuts would only last for approximately three months. Fat fish and meats have a short life span because of a process known as oxidation. Fat goes rancid when it is exposed to air. Even when kept in the freezer, rancidity process goes on. Though rancidity does not result in food poisoning, it has an effect on the texture, odor, and flavor of the food product. Another key fact to keep in mind when freezing is that spice and sugar is not always recommended. Food products containing low sugar and salt content freeze better than those containing high salt and sugar content do. Salts and sugars have the effects of lowering the freezing point of foods. This means that foods may fail to freeze thoroughly.